“By using Plasson products, you help us to invest in our vision of a world where clean, pure drinking water will be everyone’s birth right." PLASSON will be at WAMPEX2018 to showcase its Polyethylene (PE) piping solution to the mining industry in Africa. It promises sufficient stocks at all times of a a high quality product backed by a service promise. “By using Plasson products, you help us to invest in our vision of a world where clean, pure drinking water will be everyone’s birth right”, says Project and Sales administrator, Natasha Stone. 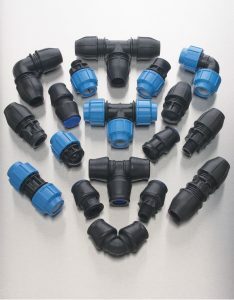 PLASSON provides a wide range of solutions for connecting PE pipe. The products can be found in municipal water distribution systems, gas conveyance systems, industrial fluids transfer and wastewater systems and mines in over 80 countries around the world. At this year’s show they will be exhibiting compression fittings for distribution of water focusing mainly on showcasing they fittings in the mining industry and the importance of using high quality fitting when coming to safety for the mining industry. From the very beginning, PLASSON’s policy dictated that quality comes first. Quality is the keyword in all Plasson processes, from design through manufacture, assembly, packaging, distribution, and delivery. Plasson innovative products revolutionised the way of connecting polyethylene pipes in the 1960’s. The innovative company started with fittings for agriculture irrigation and later developed solutions for urban water distribution. Today, water delivery in many of the world’s great cities owe their excellence to Plasson’s innovative research and development. 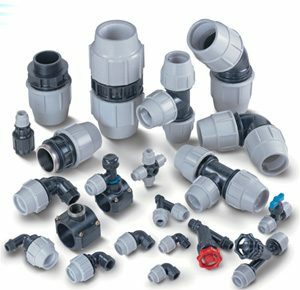 Plasson ensures superior designs and products, the widest range of fittings and adaptors and genuine commitment to quality, delivery and service. Thus, Plasson continues to strive for the future environment. PLASSON involvement in the community has been part of the firm basic values, goals and activities from the beginning: Supporting and supplying simple assembly work to a group of disabled people at their institute, tutoring rehabilitated youngsters and letting them combine in the factory, participating in national programs for new immigrants and providing them work and accommodations (along with kibbutz Ma’agan Michael), employing elderly & disabled workers in the factory, supporting workers in different issues and crises, and many more other activities. Find PLASSON at Stand Number C01 at WAMPEX 2018.